Apart from being a place to meet fellow dog lovers a dog training class is vital for dogs and owners to learn how to live together in harmony. There are many types of dog training classes. Basic socialising and obedience, ringcraft for show goers, agility, and even dancing to music, to name but a few, are available for dog owners. 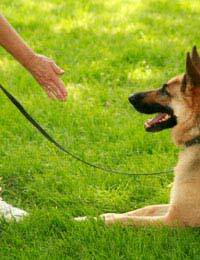 Most groups concentrate on one type of dog training however some groups cover classes for every type of canine sport. When starting to plan your own dog training classes decide what would be popular in your area and if you can cope with the organisation. Finding a venue to hold canine events can be very hard. Dogs have such a bad press and trying to prove to the owners of venues that you are a responsible member of the community and so is your dog can be difficult. It is simply a matter of going online and finding a list of halls and centres in the area you wish to hold your classes. An outside area for the dogs to do their business would also be helpful. Rather than telephone the manager of each venue write a letter. This will give you the opportunity to show that you are responsible and that the venue will be left clean and tidy after being visited by a pack of dogs and their owners. When calculating weekly fees remember that you will need insurance that will cover attendees as well as the venue in case of accidents or damage. The Kennel Club are experienced in this area and can advise on what is required. Information in the canine press will also be of benefit to people running classes. You do need experienced leaders and trainers at your classes. Chances are you are experienced yourself and that is why you want to start a class in your town. Notify the local press of your classes and leave posters at veterinary clinics and pet shops. Handouts given to dog walkers you meet while out with your dogs will pay dividends. By registering your classes with the Kennel Club your classes will be listed on their website and members will find you. Word of mouth will soon spread news of your club. When taking membership you do need to make some rules about the ages of dogs attending and their health. Most clubs request that the owners show vaccination details of all dogs and that puppies cannot join until they are fully vaccinated. Quite often puppies start their socialisation at puppy classes held by their own vets. If this is not available in your area it may be an idea to introduce puppy socialisation as another string to your bow. Many people now use homeopathy rather than the usual vaccines. As long as you are shown proof of this form of protection there is no reason why a dog cannot join your classes. Once your classes are established there are many ways to inspire owners and make events interesting. Match nights once each month can be fun for all members, invite outside people to attend and judge the event. By doing this you are not only giving a judge experience but also showing dogs and handlers what it is like when meeting strangers who will touch your dog and be within close range of them. Inter club matches are another fun event and great social occasions to meet other dog owners. Many clubs hold events and companion dog shows that are interesting for members and their dogs. As well as being great fun and introducing an element of competitive spirit for new dogs owners valuable funds can be raised for canine and local charities. This makes dog and their owners part of the community and shows that dogs are a good idea and not quite the nasty objects that they are made out to be. Always have a plentiful supply of plastic bags for the owners who have forgotten their own so they can pick up after their dog, also place some in the car park so every piece of dog waste is cleared after each class. You should never stop telling members that it is their job to pick up after their dogs and keep the venue clean. Fail to do this and you will lose your venue.